The most Assassin’s Creed / Connor Kenway art illustrates Connor in his Assassine Costume complete with the hood, so you are rarely seeing his face or even the hair. 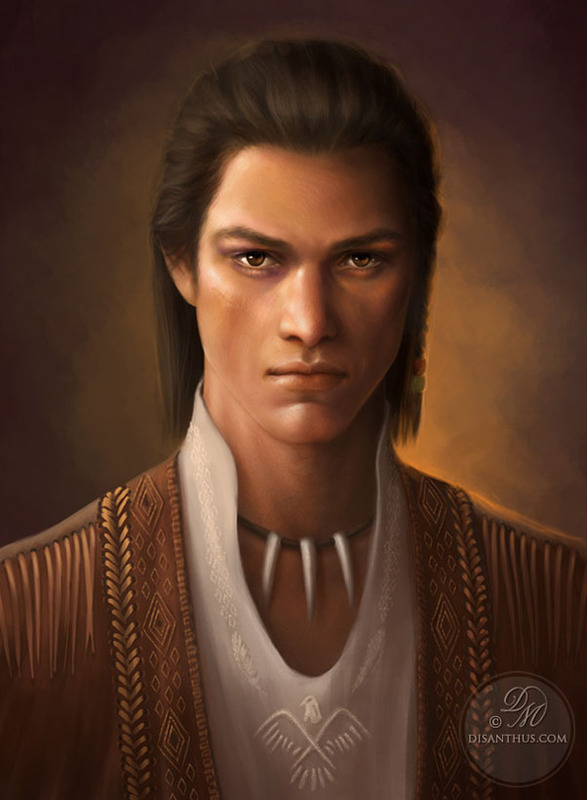 The Dutch Artist Celtran portrayed him in a different way,which show his native american roots. Anyway, I wanted a Connor portrait because it sort of irked me that his hood got in the way in my previous painting So here he is. Very true, doing something different and showing a another side of Connor is a great thing!